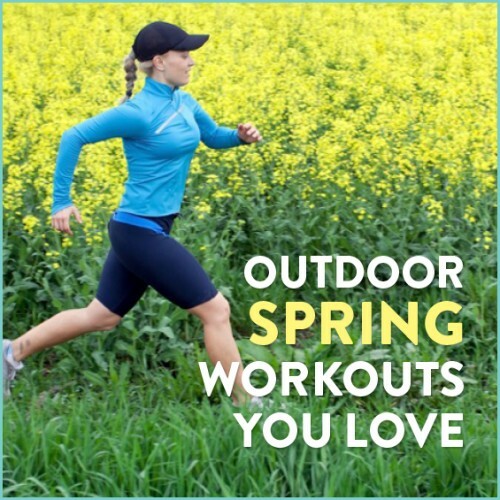 If you’re interested in trying to obtain a summer body in spring and are looking for effective yet fun spring workouts to try in the coming weeks, simply continue reading to learn about 3 of the best spring workouts to add to your current exercise regime. If your primary aim when it comes to working out is to drastically increase your overall level of fitness, it’s well worth giving Cross Fit a try. Cross Fit is an innovative, challenging sport which involves taking on a variety of activities. Examples of which include running, lifting Olympic style weights, burpees, swimming, using a jump rope and rowing. If you ever take part in a local Cross Fit competition you may also be asked to complete a handstand walk or to participate in a stand-up paddleboard race. So if you’re looking for a new spring workout which will incorporate outdoor pursuits as well as gym workouts and which will continually feature new challenges which will keep you on your toes, it’s well worth visiting a local Cross Fit gym for a free trial. THere’s no better time to start hiking than in Spring as you’ll be able to see nature in all its glory. Just imagine getting to the top of a steep hill and being able to gaze upon a vista which features fresh green grass and a myriad of different flowers. Many of which will be in bloom. As an added bonus, if you’re lucky you may even see baby animals frolicking around. As baby animals such as lambs are highly prevalent during spring. Hiking is also a proper workout, which is well worth pursuing as your heart rate will naturally increase into a fat burning zone when you walk up steep inclines and you’ll also be sure to strengthen your core muscles during a challenging hike. If you love the idea of working out in the great outdoors, rather than working out in a stuffy gym, it’s well worth investing in a high-quality mountain bike and exploring all the trails which your city has to offer. Mountain biking is a great exercise as to get to the top of each hill, you’ll have to use your own manpower. Which will instantly increase your heart rate so that you’ll be able to burn as many calories during your ride as possible. Even when you’re zooming down hills, you’ll still be getting a great workout as you’ll activate all of your body’s core muscles in order to keep your body stabilized when you’re zooming downhill. Which will work to tone your body, without having to spend endless hours in a hot, sweaty gym. So if you’re really interested in increasing your fitness and sculpting and toning your body in time for summer, it’s well worth adding either Cross Fit, hiking or mountain bike workouts into your current exercise regime. As all three workouts are a lot of fun and will help you burn a high amount of calories in a short period of time, whilst sculpting and toning your body.